Since 1972, the California Melon Research Board (CMRB) has sponsored valuable research to assist producers, handlers and associated organizations with developing their practices while supplying consumers with safe, flavorful and affordable melons. The CMRB advocates for a number of projects including plant breeding for disease resistance, disease identification, food safety practices, pesticide evaluations, insect management strategies, and post-harvest disorders. 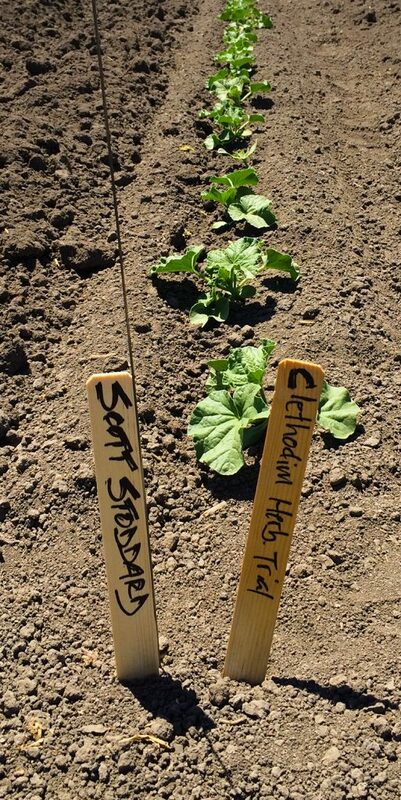 Additionally, several multi-year partnerships with the Center for Produce Safety, the California Cantaloupe Advisory Board and the California Specialty Crops Council have been developed and maintained with our support. Industry producers and supporters depend on the CMRB for promoting innovative and appropriate research for the constantly evolving world of growing and shipping California melons. We have participated with the University of California, University of Arizona, Texas A&M, USDA, Cornell University, UC Cooperative Extension and other institutions in the development of innovative technologies and practices, as well as the improvement of existing systems and experiences that enable the efficient and safe production of cantaloupes, honeydews and mixed melons. The CMRB hosts its annual Research Symposium and Board Meeting in San Diego, California to review and discuss results from Board-funded projects, engage with guest speakers and consider opportunities for future research. Funding is provided by a mandatory, equal-assessment of producers and handlers of all melons produced in California (with the exception of watermelons) under the oversight and authority of the California Department of Food and Agriculture’s Marketing Branch. In addition, the CMRB solicits sponsors for the guest speaker roster at the Annual Research Symposium. Every five years the CMRB is subject to a continuation hearing, where industry testimony is given to help the California Department of Food and Agriculture determine whether or not the CMRB will continue for an additional five years. Please feel free to search our comprehensive database of research presented here by the Melon Growers of California, and we hope you find this repository of research useful and worthwhile.